Terry Rozier made quite the name for himself in the 2018 postseason. He took over for injured star Kyrie Irving and played a major role in Boston’s deep playoff run. 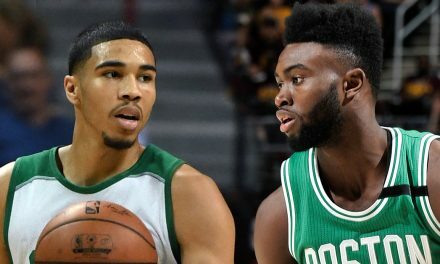 The Celtics got within one win from the NBA Finals behind stellar team basketball and a few individual big-time performances from the young guard. Entering the postseason Rozier had played in a total of 22 playoff games, starting in none. He took over as the floor general for the team with only 16 starts to wind down the season. In the 19 playoff games Boston played, Rozier averaged 16.5 points, 5.7 assists, and 5.3 rebounds per game. Terry Rozier made a name for himself from the get-go, hitting a big time three pointer in the final seconds of Game 1 against Milwaukee. The team took care of business in OT as he finished with 23 points. Scary Terry was born, and quickly became a common household name for fans around the world. The one problem- Boston does not need a starting point guard. 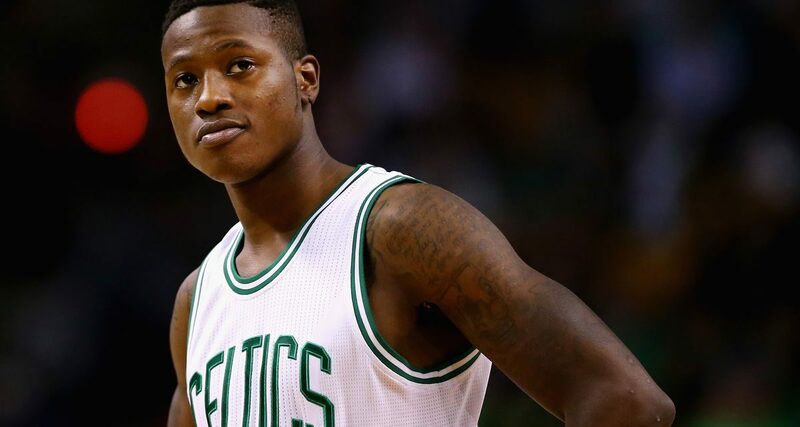 With superstar Kyrie Irving at the helm, there is no opportunity for Rozier to play a starting role. Rozier will play as the team’s sixth man next season. He will see decreased minutes as both Gordon Hayward and Kyrie Irving return to action. Danny Ainge has a track record for maximizing return value in every transaction. 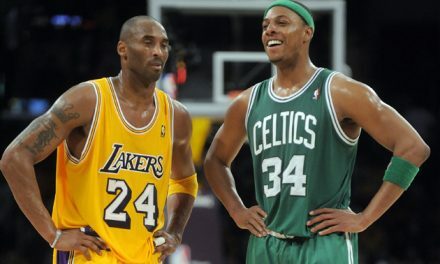 He traded the organization’s most beloved player since Larry Bird in Paul Pierce. Danny shipped out future Hall of Famer Kevin Garnett. He sent Doc Rivers to LA. He even maximized Isaiah Thomas’s value right before his contract was up in a trade for Kyrie Irving. Rozier is set to become a free agent after the 2019 season. Teams around the league will begin bidding for the blossoming young talent. It is not likely that Ainge will make the same mistake that general managers in recent history have made. Pacers’ GM Kevin Pritchard failed to move an unhappy Paul George until it became public knowledge that George wanted out of Indiana. The team ended up getting a good return for the All-Star forward, but by waiting too long it forced the team into a bad situation with next to no leverage in trade discussions. Even Boston’s own Kyrie Irving forced his way out of Cleveland by making his discontent with the team public. Cleveland’s former GM David Griffin did a poor job of keeping the situation with Irving behind closed doors, leading to a forced trade to the Celtics. A trade that thus far appears to have worked greatly in favor of the Celtics. If Danny Ainge and the management group for the Celtics see it as an inevitability that Rozier will leave the team next summer, they will not hesitate to make a move. With rumors swirling surrounding the upcoming NBA Draft that the Celtics are looking to move into the lottery, all eyes are on the Rozier situation. 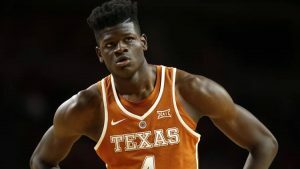 The team is interested in Mo Bamba, a pre-draft lock to be taken in the top six. If Boston seeks to make a climb from 27, they will need to put together a monster package. Any package offered has to be centered around Terry Rozier. The draft presents the perfect opportunity for the Celtics to trade Rozier at the peak of his value. The Memphis Grizzlies (4th) and Dallas Mavericks (5th) have both openly stated that they are considering trading their pick this year. The Celtics could offer a package centered around Terry Rozier and the 2019 Kings first rounder to snag Bamba. Mo Bamba is a 7’1” big man with a ridiculous 7’10” wing span. His presence would instantly boost Boston’s unstable front court and provide a much-needed rim protector. Don’t be surprised if Boston makes a move like this in the days, hours, or minutes leading up to the draft. 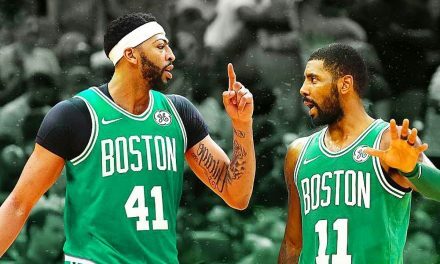 There will not be a better time to get max value, and Danny Ainge knows it. In the more likely scenario that the team stands pat in the draft expect plenty of trade talks surrounding Rozier at the trade deadline. The deadline will be Boston’s last chance to trade Rozier for good value before he hits free agency. Depending on his performance to start the season the team should still get a quality return for a player of Rozier’s caliber. By the deadline Boston will have a well-rounded idea of what the team will look like moving forward. Hayward and Irving will have played half a season together at that point, and the rotation will have begun to round out. 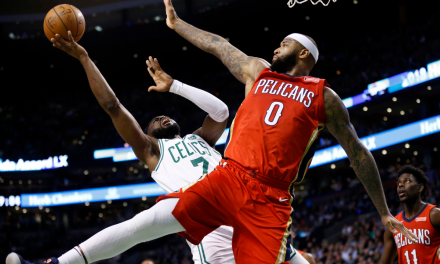 Boston’s front office has expressed a desire to keep Rozier, as the team would prefer to retain his services as a critical player in their championship aspirations. Despite their preference in the matter Ainge will need to see the bigger picture and make a move if he feels Rozier will leave. The worst-case scenario would be waiting until next summer to move Rozier. By that time teams looking to pry him away from Boston will wait until his free agency hits to scoop him up without moving their own assets. Boston will lose Rozier and have nothing to show for it. Given these circumstances and Danny Ainge’s history in similar situations as much fun as it has been watching Rozier blossom and as nice as it would be to have him moving forward, his days in Boston are numbered.